(2) Look for addition and subtraction patterns. 3+9=? Now go to 23+9, 33+9, 63+9. What do you notice? What do 15-7, 25-7, 45-7, etc. have in common? Find other patterns. (3) Count by whatever number you want, but start at an unusual place. Count by 5, starting at 18. Or count by 2, but start with 37. Or for a tougher challenge, practice your mental subtraction skills: count down by the number of your choice. (4) Try some of these counting ideas with charts that start and end at other numbers. HelpingWithMath.com lets you create printable charts that start at whatever number you specify and count by whatever interval you like. You could make an even numbers chart, or a multiples of 3 chart, or . . . the possibilities are endless! (5) How many numbers are there from 11 to 25? Are you sure? What does it mean to count from one number to another? When you count, do you include the first number, or the last one, or both, or neither? Talk about inclusive and exclusive counting, and then make up counting puzzles for each other. (6) Make picture puzzles: You give the clues — either a description of a number (“It’s two less than 26”) or an equation that equals that number — and your student colors in the appropriate square. Repeat to make a design. Now, let your student make up a puzzle for you to color. (7) From Mathwire: Cut up a hundred board into irregular pieces to make a puzzle. For more of a challenge, cut a blank chart into puzzle pieces, writing in one or two numbers per piece. Can your student fill in the rest of the numbers? (8) Make a hundred chart pattern (pdf) with your name. (9) Play “Arrow Games”: Starting at the number given, each arrow means to move one square in the direction shown. What number is “45 ← ← ↑ → ↑”? How would you use arrows to say, “Start and 27 and move to 59”? Make up your own arrow code for someone to follow. (10) Try Money Activities on a Hundred Chart (pdf). Count by dimes or by quarters, or use the chart to make change for a dollar. See more examples at Using the Hundred Board to Count Money. (11) Play “Race to 100.″ Take turns rolling one or two dice and moving that many spaces on the hundreds chart. If you correctly predict your landing place before you move (without counting squares! ), then you can go one extra space as a bonus. The first person to reach or pass 100 wins the game. (12) Play a number bonds game. Take turns pointing to any number. The other player has to say how many more it takes to make 100. (13) Check out Hundred Chart Nim. (14) Or try Euclid’s Game on a Hundred Chart. (15) Look for counting-by (multiplication) patterns. Colored disks are nice for this, or use pinto beans. Mark the numbers you hit when you count by 2. What pattern do they make? Make the counting-by-3 pattern, or mark the 7s, etc. You may want to print several charts so you can color in the patterns and compare them. Why does the counting-by-5 pattern go down the way it does? Why do the 9’s move diagonally across the chart? (16) Look for factors: Mark the multiplication patterns by putting colored dots along one edge or corner of each square. (That is, all the multiples of 2 get a yellow dot, for instance, and the multiples of 3 get green dots…) Which numbers have the most dots—that is, have the most factors? Which numbers have just one dot? Which don’t have any? (17) Make the Sieve of Eratosthenes to find prime numbers. On a printed chart, blacken the box for the number 1, which is neither prime nor composite. Circle the next unmarked number (2), and then cross out all of its multiples—that is, count by 2’s and cross out every number you land on, except for 2 itself. Circle the next unmarked number (3), and then cross out all of its multiples. Keep going until every number is either circled (prime) or crossed out (composite). (18) The Factors & Multiples game: The first player marks an even number less than 50 on the hundred board. His opponent marks a factor or multiple of that number. Players alternate, each time marking a factor or multiple of the last number played. The player who marks the last number, leaving his opponent with no move, wins the game. (18.5) Factors and Multiples Solitaire: Try to find the longest possible chain of factors and multiples. Keep track of the order in which you mark the numbers. Can you find a way to mark 50 or more without breaking the chain? (19) What number is 1/2 of 100? How do you know? What number is 3/4 of 100? Are you sure? How can you show it is true? (What does the fraction 3/4 mean? What does any fraction mean?) What other fractions of 100 can you find? 1/10? 2/5? Can you find a number that is 1/3 of 100? (20) The hundred chart can help you convert between fractions, decimals, and percents. Do you see how? “Percent” means “out of 100.” So 30% means “30 out of 100”—which is how much of the whole chart? If we say that the chart is one whole unit, then how much is each row (in decimal notation)? What size is each box? Can you color 0.47 of the chart? What decimal would mean the same as 1/5 of the chart? And what percent of the chart would that be? (21) A Cross pattern is a square plus the four squares directly up, down, left, and right from it. 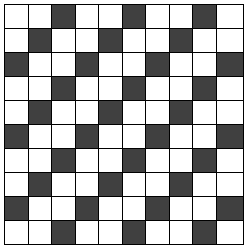 An X pattern is a square plus the four touching it diagonally. Choose any square that is not on an edge of the hundred board. Find its Cross and X patterns, and add up their sums. Can you explain why they add up to the same number? Can you find any other patterns that work that way? Can you figure out how to predict the Cross or X pattern sum for any number? (21.5) Find the Cross and X patterns for a date on this month’s calendar. How are these the same as on a hundred board? How are they different? (22) Try these number logic puzzles (pdfs) from Mathwire. Then make up some puzzles of your own. (23) Play Gomoku, also known as Five-in-a-Row, on a printed hundred chart. Use a wide-tip marker to make Xs and Os, or use pennies and nickels to mark the squares. On each turn, the player must make up a calculation that equals the number in the square he wants to mark. (23.5) If you enjoy Gomoku, you can download a freeware version here. But it doesn’t come with a hundred chart. (24) Give the Dog a Bone is an online game. Can your student find 10 bones (numbers) on a blank hundred chart before the time runs out? [Hat tip: Amy at Early Bird Homeschool.] This site has gone bust, and not even the Wayback Machine could make it work again. Ah, well … my kids never liked timed math, anyway. (25) Rounding to the nearest 10 — say a number and have the child put a marker on that number. Then let him decide which 10 that number is closer to and put a marker on it (or, if you’re using a paper chart, draw an arrow to the nearest 10). (26) Charlie’s Delightful Machine: Use 4 crayons or colored markers and a hundred chart to keep track of which lights glow for which numbers. Can you figure out the rules? Can you find a number that makes all the lights come on? Hit the Restart button to get a new set of rules. (27) Factor Blaster: Player 1 marks any number and writes that down as his score, then Player 2 marks all the factors of that number which have not been previously marked and writes their sum as her score. Next turn: Player 2 marks an open number, adding that to her score, and then Player 1 marks any factors that are available and adds them to his score. Play alternates until no numbers remain. At that point, whoever has the highest score wins. Optional: What if the player who is claiming the factors misses some? Should we allow the other player to claim those numbers as penalty points? Seems fair to me! (28) Print out Yelena McManaman’s Hundred Chart Poster, which shows the meaning of each number. Hang it on the wall, low enough that your preschool or early-elementary student can see it easily. Talk about the patterns your child notices. This post is a revision and update of my original post, 7 Things to Do with a Hundred Chart, and most of these ideas are included in my book Let’s Play Math: How Families Can Learn Math Together—and Enjoy It, now available at your favorite online book dealer. Try too the factors and multiples game from the nrich website. Thanks for the link, Jamie! That looks like a great game. I think I’ll edit the post to include it. I suppose it’s a school playground, but I’ve never seen one like that in real life. Looks like fun! 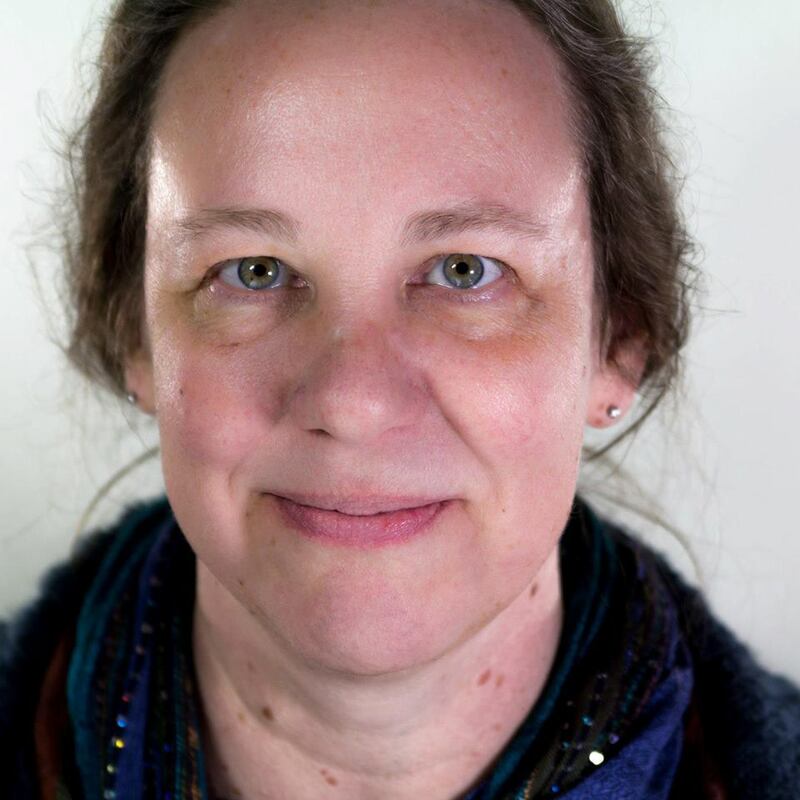 This is a great site for ideas I am home schooling four children right now , two with special needs and so far I am running out of ideas so thank you for the website. One of my job is being a freelance tutor and I think this is a cool idea. You’re learning plus you’re having fun as well. Nice idea. Teaching Kindergarten, I used the 100’s chart extensively. Now teaching Third, I had little to no ideas on how to integrate the 100’s chart into our math standards. Thanks for some great ideas on using the 100’s chart in upper grades! I really like this website and plan to use it with my students. Excellent resource–thanks for sharing this compilation. I love your ideas! I’ve recently started using a Smartboard and the hundreds board in the gallery is the thing I use most. Your ideas will go really well with it. Thanks for these ideas! I recently found out how much easier it is to use a 100 chart than a bunch of manipulatives. Plus, my son is thinking more logically with the charts. You might try it again, Daniel. Perhaps the server was just overloaded, but it’s working fine for me now. It goes to a Flash worksheet, and it will give you different numbers each time you refresh your screen. There is a place to enter a password, but you don’t have to — it prints out fine for me as is. I have a big pile of 100’s charts from a curriculum we ended up not using — my son’s done the Sieve of Eratosthenes but we really needed new ideas. Thanks! You’re welcome, Grace. I hope your son has fun with these activities. Great Ideas! I have referenced you under my post about hundreds grid as well. I’ve also heard of people labeling their stairs to make a number line. If you put zero in the middle, the children can play with negative numbers, too. I really like #2! As a special education teacher, I am always trying to help my students understand some of the patterns of numbers. I believe that understanding small patterns can add up to help them understand bigger concepts. Before today I had never heard of a hundred chart. Then I saw my 3rd grade grandchild’s math homework; a single sheet of 2 digit number addition problems. Contrary to what simple logic would dictate, the problems were not to be solved by addition but with a hundred chart! 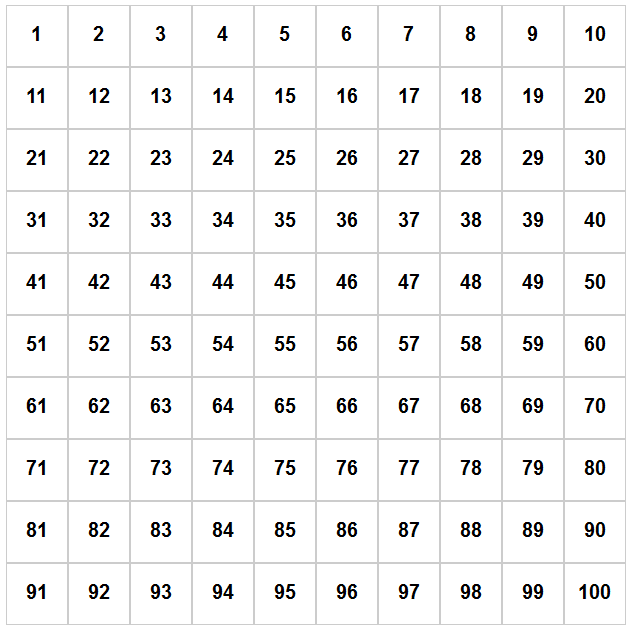 Having now done a little research on the hundred chart concept I can understand how they and their like can be a useful adjunct to boring rote learning of arithmetic but only after, or at least along with, teaching the kids how to calculate the answers to problems – DUH! My son and daughter-in-law were told by Lockhart, Texas elementary school officials that the state of Texas mandate on all Texas elementary schools is the use of hundred charts in lieu of calculation, so that students can be taught to pass state and federal tests, instead of learning how to do actual arithmetic. I, personally, don’t know if that’s entirely true or not, but it would pose an interesting question for Gov. Perry. If this sort of thing is happening to all disciplines, not just math, and all over the country, not just Texas, it’s no surprise whatsoever that everyone’s becoming dumber than a box of rocks. A hundred chart can be very useful for teaching mental math techniques for the addition of two digit numbers. It helps students notice and become comfortable with patterns in the numbers — and it is best used BEFORE teaching the regular rules of pencil-and-paper addition. Then the students understand WHY the rules work. Your grandchild’s teacher may have meant this to be a review project before she teaches the rules for pencil-and-paper work with bigger numbers. Still, this does seem too simple of work for a normal 3rd-grader. Perhaps the parents should look into after-schooling with a more rigorous program like Singapore Math? Great site! Do you recommend charts from 0-9 or 1-10 on the first line? Either way is fine, Mich. My personal preference is 1-10, but both types of chart are mathematically meaningful. So use whichever you like, or whatever your math curriculum provides. Such a great article! Hundreds charts are one of the most important math tools for kids! These are great. I have always found the 100 chart to be a versatile tool! I put a number grid on my classroom floor using contact paper and my kids use it all the time! Thanks for the additional ideas to use! Wow, Heather, that sounds like great fun! Reblogged this on good mother. I am wanting to make a 100s chart on the concrete near our playground, bu am having trouble conceptualizing how it works. Can you explain how you did the one shown in the picture at the top of the page? The picture is from Flickr, probably from a school playground or parking lot. I imagine whatever paints are used for parking lots and roads would work. Or sidewalk chalk, if you want something less permanent.